An old doorway tells the Woolworth building's history. 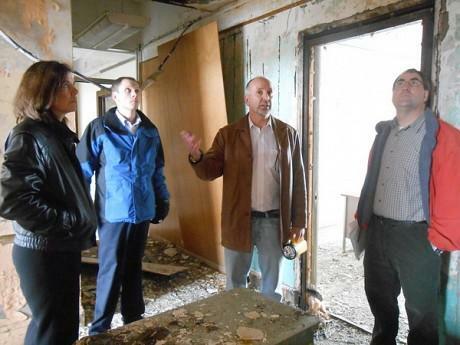 Developer Erich Seber gives local officials a tour of the Woolworth building in downtown Watertown, in April. The Woolworth building dominates a prominent intersection on Watertown's Public Square. The state of Watertown's historic Woolworth building tells you a lot about the health of the city. And for years, the message hasn't been good. But the vacant eyesore is on track to re-emerge as evidence of the downtown's steady improvement. If you put a nose to the building's front window, you can see the story of decline. A big vault door surrounded by moldy clothing shows how a grand bank lobby gave way to a junk shop. And even that business is long gone. Water drips from the ceiling, pooling onto a mess of old merchandise on the floor. Seber and his partners are buying the building from another developer who failed to get financing for a luxury hotel. If all goes as planned, they'll close this week. A flurry of activity will soon follow. Seber wants to have 50 apartments and first-floor businesses open by early 2015. All the permits are in place to start construction immediately after the sale. F.W. Woolworth was born in Jefferson County, and this store is one of the earliest in his chain. Seber says his team is proud to bring it back to life. The developers plan to outfit a first-floor display area to highlight the building's early history. And they'll spruce up old architectural features, like the mail chute and ornate elevator doors. Seber says the city was helpful with expediting paperwork and securing financing for the $16 million project, including a state grant. It's also donating a grassy patch of land across the street for a parking garage. After founding his first stores elsewhere, Jefferson County’s Frank Winfield Woolworth bought the building in Watertown where he got his start in the dry goods business, intending to raze it and build one of his own stores. 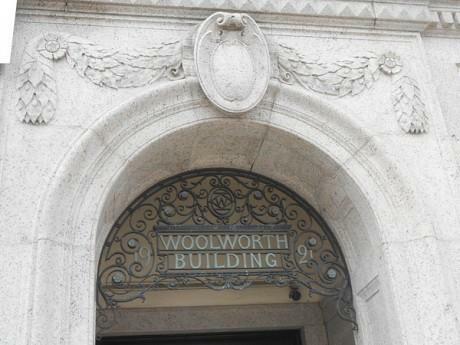 Woolworth died before he could see it, but his company realized his plan and the building’s a central part of the early history of the five-and-dime chain. 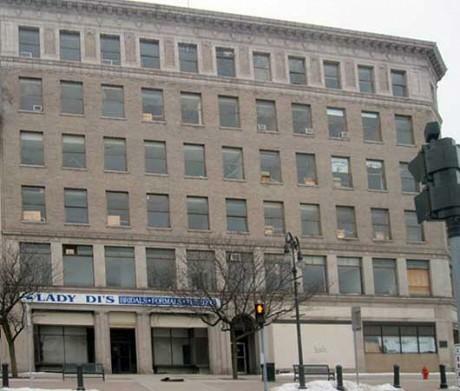 After years of vacancy, two developers have plans to revive the landmark. Watertown officials have been excited about the possibility of a redevelopment project for the Woolworth building downtown for several years.